The GW price hike has been in the news today, so here's how the price hike effects the Tau in the UK. Now, some of the increases have probably been omitted, because many of these prices have actually applied for a few months now. As someone who buys from online discount stores rather than Games Workshop direct, I presumed some of these price hikes had occured earlier in the year and didn't pay it much mind. Listed here are the Tau units effected by the price hikes. If the Tau unit isn't here (like the Tau Hammerhead and Skyray), then it remains unaffected by the price hike. The number of Tau models each pack comes with is in brackets. Number represent English Pound Sterling. It has to be said that this time around Games Workshop marketing has been quite clever with this price hike. 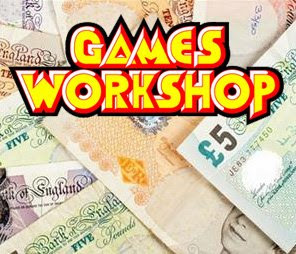 Not only have they given us all less time before its publically implemented, therefore attempting to spark greater panic buying, Games Workshop also raised many of the prices on the price hike list long ago, hoping that no one would notice. The Tau Battlesuits, Tau Battlesuit Commander and Tau Broadside Battlesuits are prime examples of this, having been at this higher cost since January. As you can see, it's mostly metal products which have gone up in price. So I would suggest sticking to plastics, which either haven't increased or may have gone up by a mere 2 pounds (nothing shocking) or looking to Forgeworld to make some value for money savings on little things like character models and tank turrets. Despite this year's price hike (and I'm sure it's now become a yearly tradition for Games Workshop), one of my closest friends will still drive to the nearest shopping centre and exchange cash over the checkout and continue to pay for retail price for his Warhammer 40K models. It's these people who are rewarding Games Workshop's business practices. To make things worse, he won't order online like I tell him to, because he "wants it now!" and can't wait a week for his models, even if he would be reducing the cost of his latest army by 100 pounds. From a business point of view the new Games Workshop MD has done a brilliant job, selling us Apocalypse and making us buy high mark up models in droves while the impending release of Planetstrike will inspire the same behaviour. But as a consumer, I now make almost all my models from plastic components to cut costs and I have restricted myself to just 2 Warhammer 40K armies. I was pondering a second Necromunda gang, but now I'm thinking better of it. Alternatively, you can stop spending your money in a Games Workshop store and take your money online instead where there are plenty of retailers selling Warhammer 40K at a discounted price. Many of these retailers may be based in the UK, but they also ship worldwide, making them an excellent choice for our European, American and Canadian cousins across the waters. The cheapest retailer right now is Wayland Games who offer a 25% discount and very reasonable postage. I don't know what their postage outside of the UK is like, but when they're doing cheap bundles on things like 3 Valkyries, I suppose you can't really complain. Well, I live in Italy and in the past months I have been HEAVILY shopping on the Wayland Games website for LotR and 40k. I don't want to make any advertising here, but I can tell you that their service has always been perfect and that they charge a very reasonable £10-15 fee for a courier delivery to Southern Europe. I have been buying quite a lot and I spent quite a lot on GW models, yes, but thanks to them I saved some real money. Whenever possible, buy online and look for good bundles or large order discounts. With a bit of planning ahead, you can build a very good army while saving your hard-earned cash. I use www.wargamesempire.com , the site is fairly basic I know but they are very cheap and will do combo deals on large orders. Now compare those figures to the 80€ GW charges for a battleforce in parts of Europe (Germany, Austria, France, etc.) ... thats 70.50 GBP !!! How am I supposed to support my local store (which is nice to have) at those prices? I wanted to say: "it isn't that much more expensive for me to order from GW UK mailorder than from waylandgames"
I use Miniatures By Post for my orders (http://www.miniaturesbypost.com) as I found that a lot of the items on Wayland Games aren't as heavily discounted as I thought - some are at 25% off, but a lot aren't. I was looking at buying their Drop Pod Company, totted the costs up when assembled as seperate units from both sites, and realised that Miniatures by Post was cheaper. The postage is also capped at a parcelforce rate of about a tenner in the UK, which makes a difference for big orders.